Also available from Amazon UK and Austin Macauley. 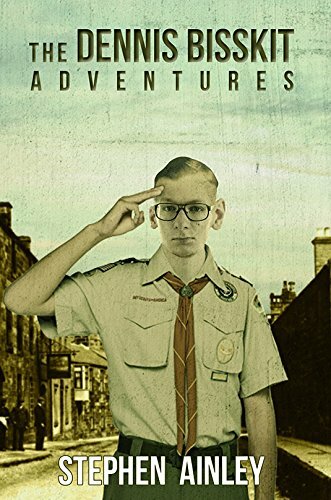 THE HILARIOUS STORY OF A YOUNG BOY'S GROWING UP YEARSMeet Dennis Bisskit, short; ginger-haired; kind-hearted; game for anything. Born in 1945 on the day the war ended; it should have been a good omen. Instead it's been one disaster after another. Luckily fate normally steps in to save the day.Gasp at the great holiday camp knobbly-knees scandal of 1955!Be amazed as Dennis attempts to win back the world mile record for queen and country!Discover Fosdyke's department store and the all-powerful Mrs Ricketts!Shed a tear as Dennis visits the battlefields of France with his granddad.And meet the memorable Colour Sergeant Plunkett who teaches Dennis everything he needs to know about the army and finally makes a young man of him.